Our penultimate weekend of hockey before all Clydesdale and Clydesdale Western teams return to league action. Clydesdale Western 3s have the opportunity to strengthen their grip on fourth place in Women’s Championship Division One when they host Watsonians 2s from 1.30pm. The L3s return to action with a home game and could potentially open up an eight point lead on their Edinburgh opponents. ‘Dale Western 3s played Watsonians 2s back in November but lost 3-2 at Tipperlinn. Clydesdale Men’s 3s take on Hillhead 3s from 3.00pm at Titwood in Men’s West District Division 1A. 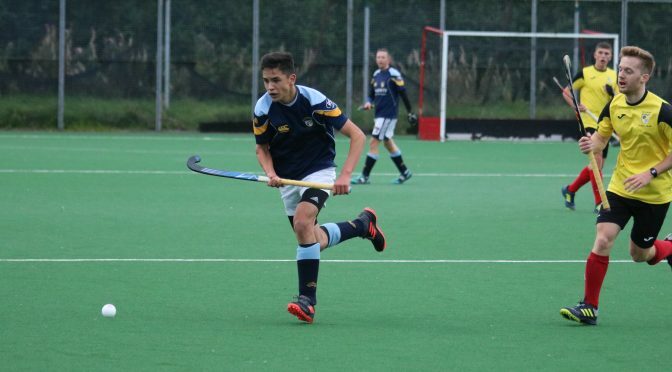 The M3s finished the first half of the season better than they started, with their last result being a 6-0 home win against GHK 1s. A win here could take the M3s up to fourth in 1A if results around them also go their way. The last time the two sides met, however, saw a 2-1 at Old Anniesland for Hillhead 3s. Clydesdale Western 2s will hope to reignite their Women’s Championship Division One title ambitions when visit Goldenacre to play George Heriots FP 1s at 12.30pm. The L2s finished the first half of the season with a damaging 1-0 loss to the L3s, leaving them six points behind Edinburgh University and Uddingston who occupy the top two spots of Championship One. The last meeting saw the Edinburgh side claw back a 2-0 deficit to draw 2-2 in the opening fixture of the season back in September. Clydesdale Western 4s turn their attention to the Women’s West District Cup Quarter Finals when they play Glasgow University 4s at Garscube, 1.00pm PB. A win here could see the L4s qualify for the Semi Finals of the competition. The two sides are in the same league, with the L4s sitting four places above the student side in sixth. The L4s have already played GU 3s in Women’s West District Division One, with ‘Dale Western 4s securing a 2-1 win.